Ferrari has warned it will treat any future leaks of its technical secrets as a "serious matter", after recent intrigue about a second battery sensor on its Formula 1 car. 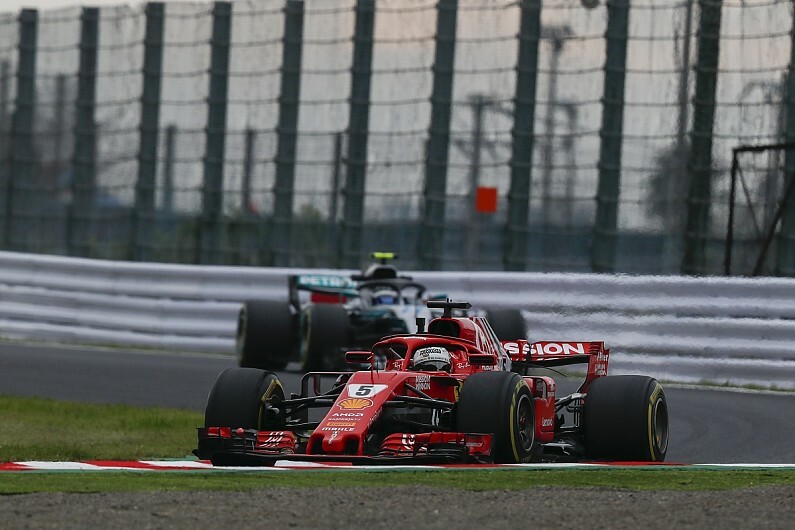 One of the theories surrounding Ferrari's recent drop in pace compared to Mercedes is that it is somehow linked to the ongoing analysis that the FIA has carried out on Ferrari's unique dual-battery arrangement. Ferrari has strongly denied this, but team principal Maurizio Arrivabene said he was more concerned about how knowledge of the sensors has reached the public domain. Speaking to Sky Italia, Arrivabene said: "Our battery layout is quite complex, so we agreed with a request from the FIA to work together with them. "We had the second sensor, but it does not change in any case the performance of our car. "Despite that, I find it strange that everybody knows about the second sensor. I've said our battery layout I quite complex, but it's also the intellectual property of Ferrari. "I hope that, as everybody knows about the second sensor, in the future everybody is not going to be informed about our project. "That could be a serious matter." Over the course of this season, the FIA has attached the two sensors to the Ferrari's power unit to check that the team is not doing anything illegal with its energy recovery, following questions posed by rival Mercedes about its straightline speed advantage in early acceleration. The fact that Ferrari has not enjoyed a similar edge in recent races prompted talk that it has perhaps been hobbled by the sensors. Arrivabene was clear, however, that Ferrari's recent drop in form has more to do with its performance in slow speed corners than on the straights. "It's nothing to do with the speed on the straights, because in Singapore and Russia we were quicker," he said. "We were ahead in Singapore and in Russia we were near to our competitors. "In Singapore and Russia, we were more or less like Mercedes on the straights. Where we lost was in the slow-speed corners. We have the data to confirm it." Arrivabene added Ferrari's cornering problems have triggered further issues that mean it is not able to use its tyres as well as Mercedes. "We are suffering in high- and medium-downforce tracks," he said. "Especially on slower corners we are in trouble. "We miss load, and this problem leads us to have difficulties in the management of the tyres, because we cannot always put the tyres into the right operating window."